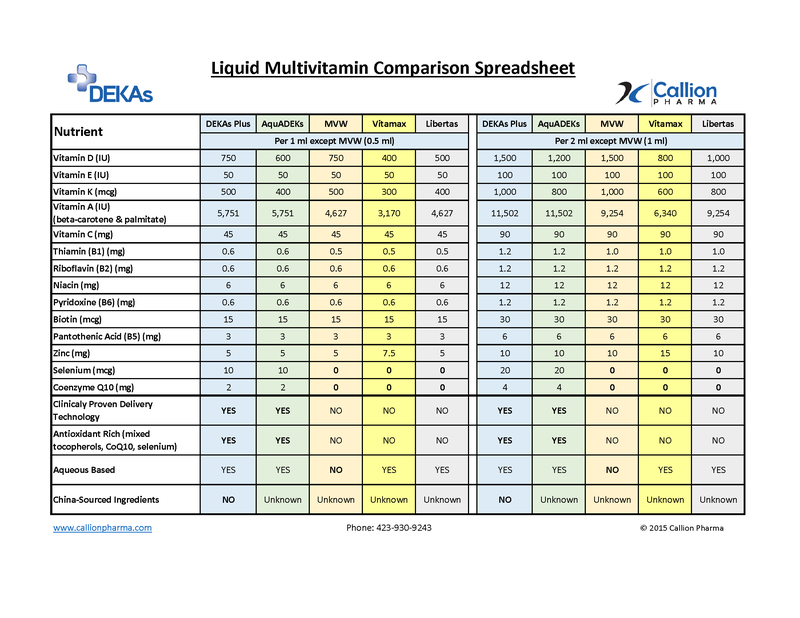 Formulated by the creators of AquADEKs, utilizing the same clinically proven delivery technology to increase absorption of vitamins A, D, E, and K.
DEKAs® is the next generation of multivitamins and minerals dietary supplements. They are enabled with a clinically tested and proven delivery technology to enhance the absorption of fat-soluble vitamins and other micronutrients. 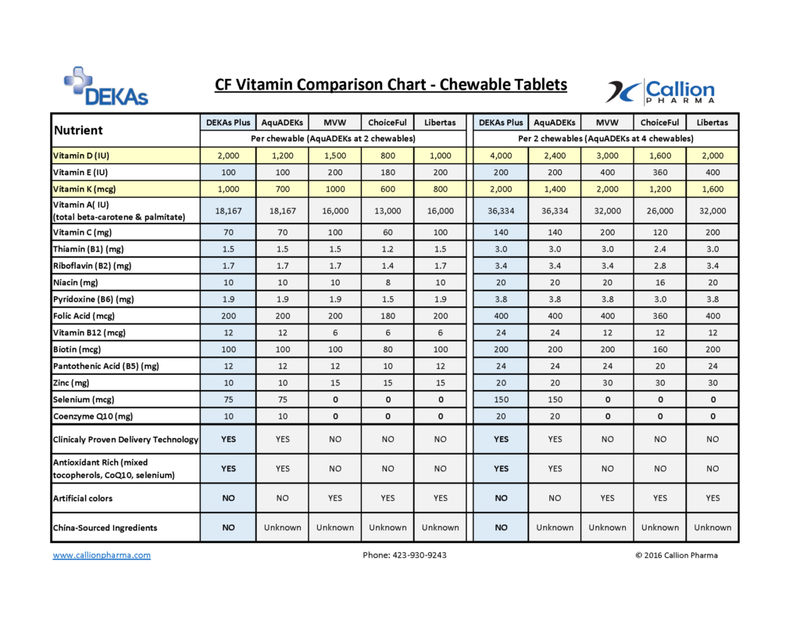 Compared to AquADEKs Chewable Tablets and Pediatric Liquid. AquADEKs Softgels have been discontinued. 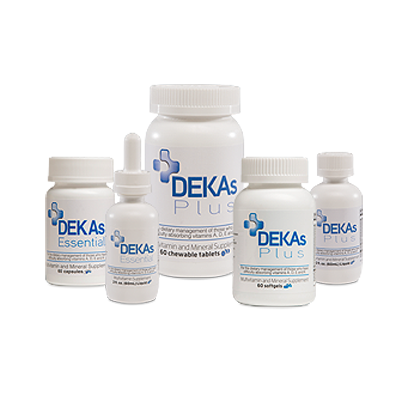 DEKAs Plus products ( including DEKAs Plus Liquid, DEKAs Plus Chewable Tablets and DEKAs Plus Softgels) are comprehensive multivitamin and mineral supplements with a clinically proven delivery technology to enhance the absorption of fat-soluble vitamins. 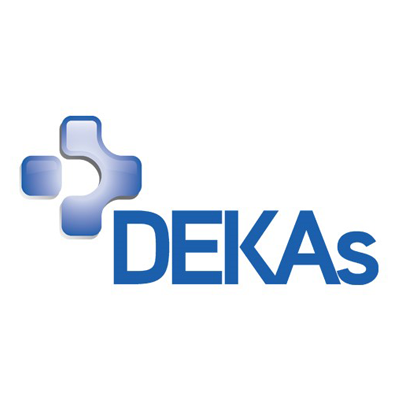 DEKAs Essential products (including DEKAs Essential Capsules and DEKAs Essential Liquid) contain concentrated amounts of the fat-soluble vitamins A, D, E and K. They provide a scalable dosing format helpful for those who face the greatest difficulty in absorbing fat-soluble micronutrients. Why choose DEKAs for better absorption? They contain amounts of vitamins D and K that are aligned with recent scientific studies. Furthermore, DEKAs are gluten-free, casein-free, GMO-free, contain no artificial colors, and no China-sourced ingredients.